Port-au-Prince (Le Nouvelliste).- One island, two states, but there is a world of difference between the Republic of Haiti and the Dominican Republic. The socioeconomic disparities, the asymmetry of trade between the two countries are open secrets, as well as the lack of political will to combat the smuggling that deprives the Haitian state of hundreds of millions of US dollars per year. The Dominican Republic is happy. Haiti suffers. 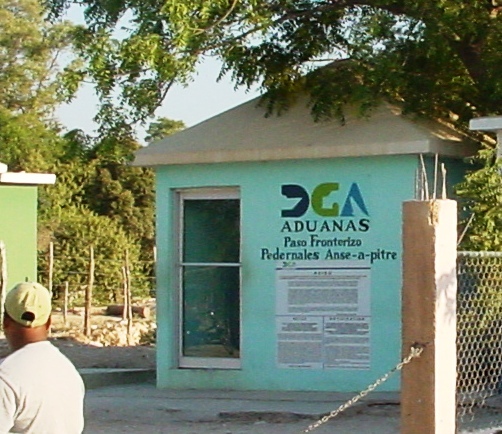 Because the Association of Industries of Haiti (ADIH), the United States Chamber of Commerce in Haiti (AMCHAM), the Chamber of Commerce of the West … and the young wolves of the private sector reject that contraband and its adverse effects in The State and the population are inevitable, the problem, taken to the shores of the Potomac, moves the lines. Last February, the United States Congress voted a text that instructs US officials to work with the governments of Haiti and the Dominican Republic to develop plans to strengthen security and border control. The improvement of security, customs operations, the strengthening of transparency to curb corruption and the necessary financing should be in these plans, these strategies for Haiti, the poorest state in the hemisphere, to capture hundreds of millions of dollars not collected due to smuggling. Following these advances, one of Washington’s most prominent think tanks; the Center for Strategic and International Studies conducted a study and published a report with a series of recommendations for states, the private sector and the civil society of the two countries that share the island.